Bring the soothing Blue Sky into your bedroom. Who can explain the ancient mysterious attraction to crystal balls. Perfect for scrying by allowing the intuitive subconscious to communicate its marvelous revelations. 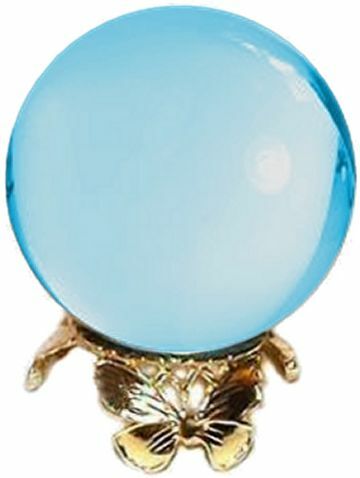 50mm Crystal ball seen with Butterfly Gold Plated Stand on sale separately, now just $4.50.